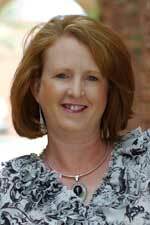 Dr. Shanna Ivey is a full professor in the Department of Animal and Range Sciences at New Mexico State University. Her faculty appointment is split between teaching and research responsibilities in rumen microbiology and animal nutrition. 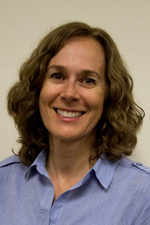 Shanna joined New Mexico State University in 2004 after completing post-doctoral work at Oregon State University in the College of Veterinary Medicine. 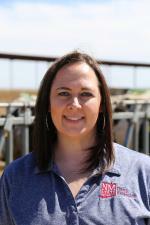 Shanna received her B. S. in Animal Science from New Mexico State University, M. S. from University of Nebraska in ruminant nutrition with research emphasizing the use of ethanol co-products in feedlot cattle diets. After completion of her M. S. degree Dr. Ivey worked as a Clinical Research Administrator at Elanco Animal Health. She completed her Ph. D. in 2002 in ruminant nutrition with an emphasis in rumen microbiology and is currently the only rumen microbiologist in the western United States. Current research in Dr. Ivey’s laboratory focuses on determining the effect of different dietary constituents including biofuel co-products on rumen microbial ecology and the subsequent impact on animal production. Also the use of secondary plant compounds as rumen modifiers are being investigated. 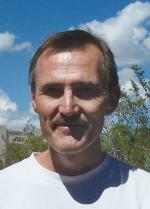 Doug Cram is an Assistant Professor and Extension Fire Specialist at New Mexico State University. 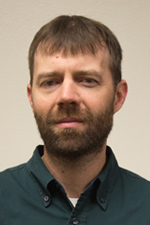 His research and Extension efforts focus on management of forests, rangelands, and riparian areas with a particular concentration on the interaction of fire within these systems. He received a BS in Wildlife Science (New Mexico State University), a MS in Forest Science (Oklahoma State University) and a PhD in Range Science (New Mexico State University). Contact him anytime to discuss and arrange a program to fit your needs. Forests in the Southwest are ecologically important for their watershed, wildlife, and rangeland functions. Economically, forests are valued for the natural resource and recreational opportunities they provide. These functions and values are important to stakeholders who have for several centuries depended on natural resources for food, fiber, and shelter. In light of this multiple-use significance, forest resilience is of great interest to land managers charged with stewardship responsibilities. However, following a century of fuel buildup in the absence of frequent fire due to fire suppression, current fire regimes in many southwestern forest are characterized by low frequency, high-severity crown fires. In light of the frequency, size, severity, and media coverage surrounding recent stand-replacement crown fires across the western United States, the pendulum of forest management has swung in a new direction. A new paradigm of restoration and fuel reduction management has arrived. The solution to reducing the risk of large-scale crown fires throughout the West is widely believed to lie in surface an aerial fuels reduction. Managers, an increasingly educated public, and students are interested the effects restoration and fuel reduction treatments have on fire severity, succession, hydrology, wildlife habitat, and even the local economy. Land managers are also interested and challenged in deciding how to allocate limited budget funds between post-fire rehabilitation and pre-fire restoration treatments. Increased knowledge, availability of information, and training opportunities to guide forest management decisions are desired and have been requested. Bio: Mr. J. Armando Garcia B., a native from Venezuela, is an Ag Research Scientist in the Extension Animal Sciences and Natural Resources Department of the College of Agricultural, Consumer and Environmental Sciences at New Mexico State University. He obtained his Animal Production Engineer degree at the Universidad Nacional Experimental del Tachira (UNET) in Venezuela (1989). He received a Master of Science degree in Dairy Production from the Universidad Centroccidental Lisandro Alvarado (UCLA) in Venezuela (2000). He has completed his classwork towards a doctoral degree in Agricultural Sciences at the Universidad de Valladolid (UVA) in Spain (2002). In addition, Mr. Garcia has received a diploma in Tropical Ruminant Nutrition from the FAO-UNET (2002), and has completed dairy specialization courses at the Empresa Brasileira de Pesquisa Agropecuaria (EMBRAPA) in Brazil (2006) and the Instituto Nacional de Tecnologia Agropecuraria (INTA) in Argentina (2008). Before joining NMSU in 2014, Mr. Garcia was a tenured professor since 1990 in the Departments of Animal Production Engineering and Agronomic Engineering at the Universidad Nacional Experimental del Tachira in Venezuela. During his tenure, he held various academic and administrative positions, published several peer-reviewed articles, and has consulted with dairy organizations on many dairy related projects in his country. After his retirement in July of 2014, Mr. Garcia joined NMSU's Dairy Extension Program at the NMSU Ag Science Center in Clovis, New Mexico. 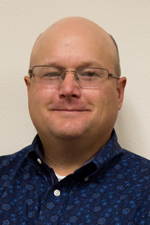 Dr. Craig Gifford, Extension Beef Cattle Specialist, started employment with Extension Animal Sciences & Natural Resources Department at New Mexico State University July 1st. Dr. Gifford comes to us from Oklahoma State University where he was a Research Associate in the Department of Animal Science. 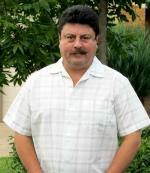 His major field of interest is in Beef Cattle Production with a focus on Beef Cattle Reproduction. He obtained his B.S. Degree in Animal Science from the University of Wyoming, M.S. Degree in Animal Physiology from New Mexico State University in Las Cruces and his Ph.D. Degree in Animal Physiology from the University of Idaho. 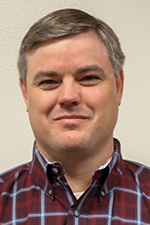 He has served in education programs in Beef Cattle Production in New Mexico. Dr. Gifford was also involved in programs centered around profitable and sustainable management of beef cattle operations and has been involved in youth development programs. His research is in methods to improve pregnancy rates in beef cattle and the involvement of maternal immune system in early pregnancy in beef cattle. 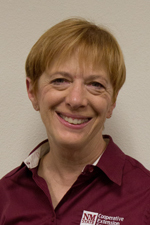 Rossana Salenave is the Extension Aquatic Ecology Specialist at New Mexico State University. She comes from Canada, where she earned her M.Sc. in Biology at the University of Waterloo (Waterloo, Canada) and her Ph.D. in Environmental Biology at the University of Guelph (Canada). Her background is in freshwater ecology, and aquatic ecotoxicology, with special interest in invertebrate ecology. She also has considerable knowledge about aquaculture and aquaponics. Her research interests lie in the effects of anthropogenic activities on aquatic communities and are aimed at improving conservation and sustainable management of aquatic resources. Her extension goals are to provide education programming for New Mexicans on topics aimed at better understanding of watersheds, water quality and aquatic ecosystem health. She serves on the Board of Directors and the Extension Technical Committee of the Western Regional Aquaculture Center (WRAC) and is the WRAC representative on the National Aquaculture Extension Steering Committee. As the Extension Aquatic Ecology Specialist, Dr. Sallenave's goal is to help New Mexicans become informed, active participants in protecting our precious aquatic resources. She specializes in aquatic ecology and aquatic toxicology, and also has considerable knowledge about aquaculture and aquaponics. She provides support, information, and educational programs to New Mexico stakeholders and resource users about aquatic ecosystem health, water quality, watershed stewardship, aquaculture, and managing aquatic resources in a sustainable way. This includes county agents, homeowners, master gardeners, pesticide users, pond owners, and aquaculture producers. to provide general wildlife ecology and management education for youth and adults in rural and urban settings. I started in mid-January 2016 as the Ext Rangeland Brush & Weed Specialist for NM. My experience with invasive plants began on our farm in western Idaho where we raised beef and dairy cows. Later, college and work experience would continue my relationship with invasive plants. I studied rangeland related coursework at Treasure Valley Community College, Eastern Oregon University, Oregon State University, and Brigham Young University. My research work during graduate school focused on brush and weed ecology and management. I had the opportunity to work with several plant species especially juniper, pinon, cheatgrass, medusahead, bluebunch wheatgrass, and squirreltail. I practiced my training as a licensed professional pesticide applicator for Washington County in Idaho where thistles were a common target among other noxious weeds. My natural resource work continued as a rangeland management specialist for the Natural Resources Conservation Service in southern Idaho. I served the public by working with private landowners to develop resource management plans and apply best management practices to conserve natural resources. Some of the improvement projects I worked on included revegetation, livestock water development, fencing, confined animal feeding operations, rotational grazing plans, irrigation systems, wetland restoration, wildlife habitat, and biological weed control. I listened to local landowner concerns and engaged the public at soil and water conservation district meetings and cattleman association meetings. Most recently, I worked as an NMSU Assistant Research Professor (postdoctoral) under direction of the USDA Agricultural Research Service, Jornada Experimental Range. I led development of the Chihuahuan Desert Rapid Ecoregional Assessment funded by the Bureau of Land Management. In these landscape assessments, we synthesized current scientific understanding of the ecological structure and function of the ecoregion and the effect of ecological drivers (e.g., invasive plants, climate change, grazing, human use, urban and industrial growth, fire, and restoration practices) on the condition of several ecosystems and wildlife species. We used conceptual models, structured decision making, geospatial layers, and narratives to discuss the ecology and management of the ecoregion and address land management questions. 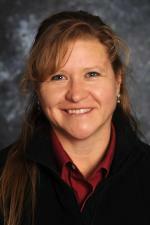 Dr. Marcy Ward became the NMSU Extension Livestock Specialist in June of 2013. Marcy received her B.S. degree in Animal Science from Colorado State University in 1991, and her M.S. from New Mexico State University in Animal Science in 1993. Her primary research focus was in the area of ruminant range nutrition. She then went to work for Purina Mills, Inc. as a Dairy Specialist in Stephenville, TX. After three years she was transferred to South Central Kansas, where she worked with all livestock species. In 2002, she decided to return to graduate school. She received her Ph.D. in Ruminant Nutrition from North Dakota State University in 2005. 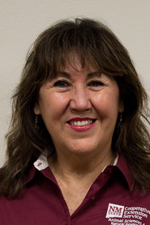 She comes back to NMSU from Colby Community College, where she was the Beef Program Director for seven years. 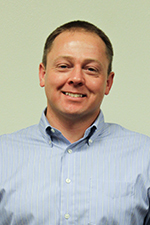 John C. Wenzel, DVM is a New Mexico native and graduated from New Mexico State University with a B.S. degree in Agriculture in 1982. 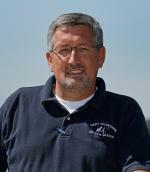 He attended Kansas State University College of Veterinary Medicine and graduated in 1986. In 1987, Dr. Wenzel moved to the Southwest corner of New Mexico and joined a mixed animal practice as an associate veterinarian. He then purchased the practice in 1991. Since entering private practice, Dr. Wenzel has concentrated on cow / calf medicine and preventative health programs for producers in SW New Mexico. 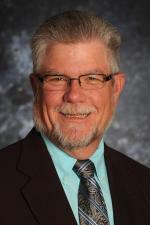 Dr. Wenzel retired from full time veterinary practice in 2012 and in 2006 Dr. Wenzel joined the faculty at New Mexico State University in the Department of Extension Animal Sciences and Natural Resources as the university's first Extension Veterinarian. Since joining NMSU, Dr. Wenzel has given many producer educational presentations all over New Mexico. 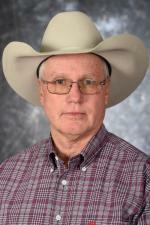 He is the State Coordinator for several programs., including NM Beef Quality Assurance, NM-ALIRT and Enhanced Passive Surveillance. 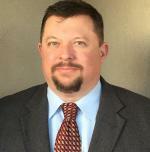 He also represents New Mexico on the Veterinary Medical Advisory Council for the Western Interstate Commission for Higher Education. He belongs to several local, state and national organizations. Dr. Wenzel has been married to Dolly since 1979 and they have three sons and nine grandchildren. Title: Fiscal Assistant - Sr.